I was very excited to play with the silver flake polish by Indigo Bananas (psst...the shop also has a rose gold version). It was less dense than I expected, needing four coats for the opacity here, but it didn't get thick on the nail so I didn't mind so much. It is really beautiful and reflective. 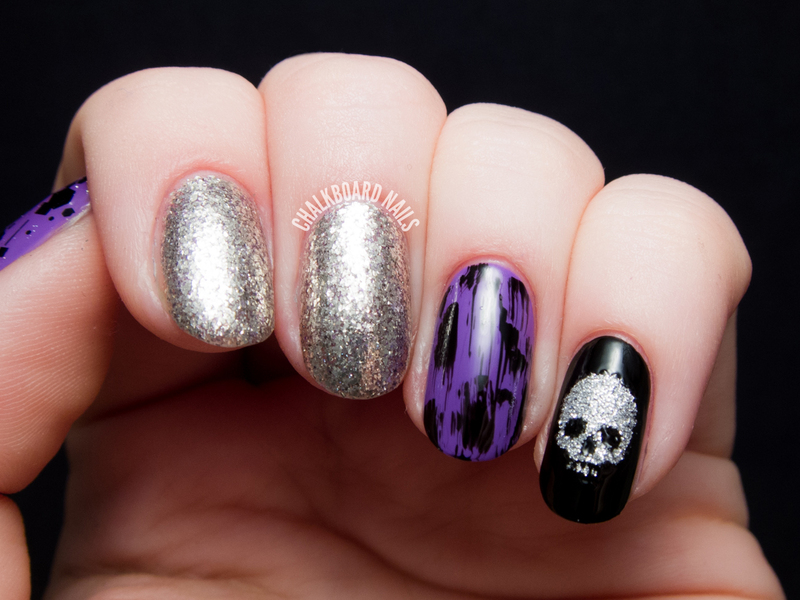 The glittery skull decal came as a part of a sheet with gold, black, and additional silver glitter skulls. I was really impressed with these. They're way easy to use; just make sure you let your base dry before you stick it on. A great accent and it looks really clean. The ring finger was done using my distressed nail art technique. Cirque's black glitter polish, Vectors, provides a similar effect but with a little bit more geometry. I think Avril would have been all over this manicure back in her heyday. A little punk, a little glam... Anyone else have "Sk8er Boi" stuck in their head? 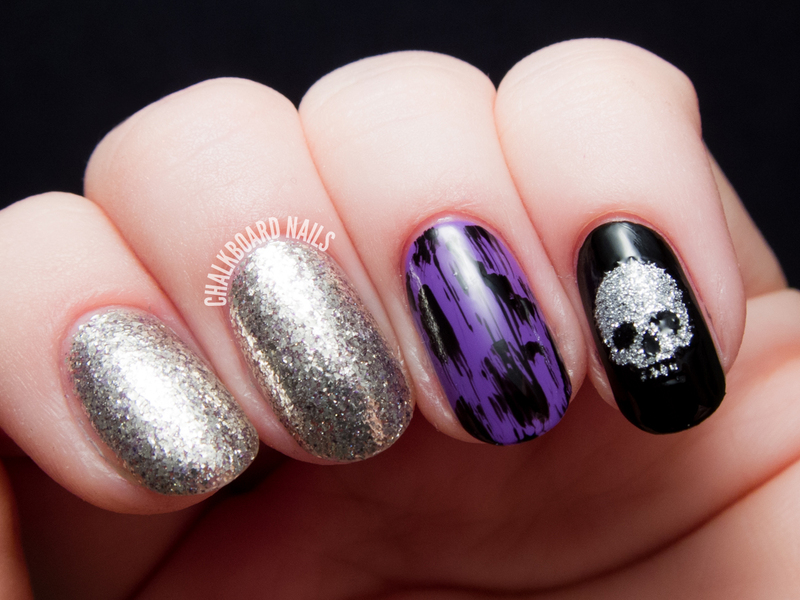 That skull nail is waaaay too cute!! Moonlight is one of my favorite polishes, Indigo Bananas makes such awesome stuff. Cute and easy as heck! I really enjoyed wearing Moonlight, I'm sure I will be wearing it a lot more in the days to come. Well, NOW I do... :P Seriously though, "Let Go" is, to this day, one of my favorite albums. Like you said, not the most poetic stuff ever, but I still really enjoy it. This mani is super fun! I love the skull! I just got this Indigo Bananas polish yesterday! LOVE it! I love Avril and i LOVE this mani!